The H-1B visa category permits employment in the United States. It is filed by an employer who is seeking the services of a foreign national in a "specialty occupation," a fashion model of distinguished merit and ability, or a person providing service related to the Department of Defese cooperative research and development project. The majority of the people who obtain H-1Bs are "specialty occupation workers." For specialty occupation workers, this generally means occupation that requires a U.S. bachelor's degree, or its equivalent. A "specialty occupation" is defined by the Immigration and Nationality Act (INA) as an occupation that requires: 1) a theoretical and practical application of a body of highly specialized knowledge; and 2) the attainment of a bachelor's or higher degree in the specific specialty (or its equivalent) as a minimum for entry into the occupation in the United States. There have been a number of cases over the years defining the term "specialty occupation." In general, it covers many professional occupations. Petitions have been approved for occupations such as: Accountant, Acupuncturist, Chiropractor, Computer Programmer, Database Administrator, Dietician, Electronics Specialist, Film and Video Director, General Manager, Human Resources Manager, Interior Designer, Investment Analyst, Librarian, Market Research Analyst, Medical Technologist, Pharmacist, Social Worker, Teacher, Software Design Engineer, Vocational Counselor, as well as others. If the position requires a license in the State then the foreign worker will need to obtain the appropriate state license or show legal exemptions. There is an annual numerical cap for this visa of 65,000 with an additional 20,000 set aside for individuals who have graduated with a U.S. master's degree or higher. Each fiscal year, employers may file new H-1B petitions for prospective employees as early as April 1 for an October 1 start date. Certain employers are exempt from the numerical cap. The process involves the uSCIS first approving the petition of the employer. If the foreign worker is abroad, he would first need the petition approval number before applying for a visa stamp at the U.S. embassy or consulate. 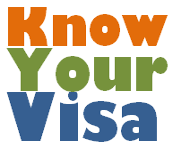 If the foreign worker is in the U.S. he may change his visa status to H-1B (provided his visa allows him to change visa status). Students who are in the U.S. on F-1 practical training and are sponsored for the H-1B visa may continue working during the summer if they are selected for an H-1B visa number. The principal worker is given the classification of H-1B whereas his spouse and children are given H-4 classification. There is a limit of 6 years in H-1B status but in certain situations the foreign worker may obtain extensions beyond the six years. The USCIS website has information about the current numerical cap.